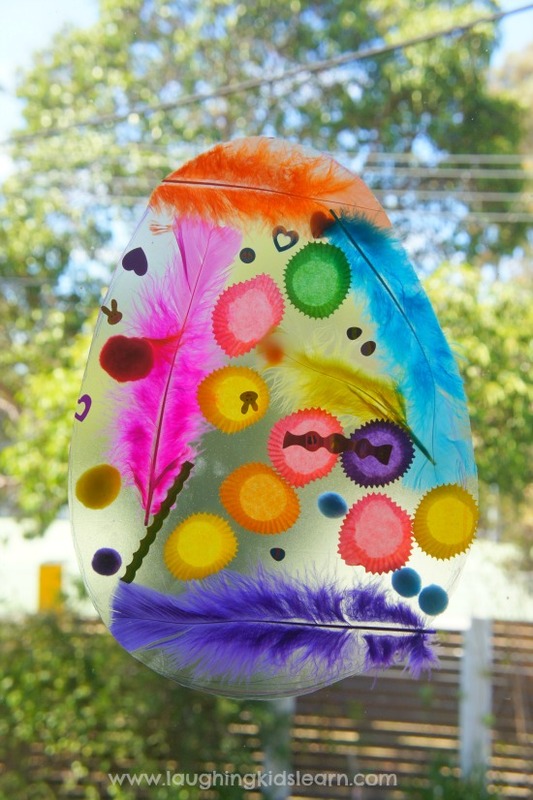 Easter is just around the corner and Possum and I have been having fun making this Easter egg suncatcher! It was so much fun for her to make and right now it’s hanging proudly on our window at home receiving lots of comments from visitors. Set up the activity by securing the sticky contact paper to a window using the tape. Ensure the sticky surface is outward facing. You might like to give your child an opportunity to feel the sticky surface as it’s often a sensation children don’t often get to experience. I talked to Possum about the ‘inside’ and ‘outside’ of the egg shape. 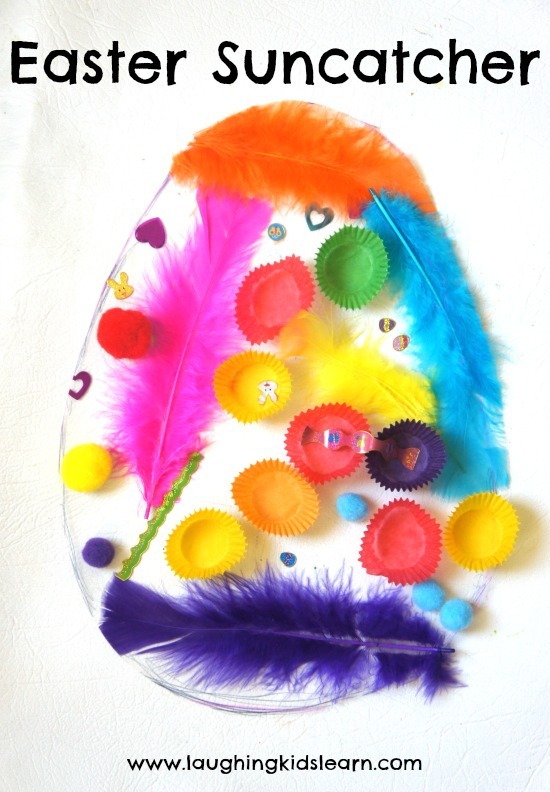 This was a wonderful lesson for her because her instructions were to add colourful bits and pieces to the inside of the egg shape. It took her a little while to understand the instructions but soon enough she got it and was correcting herself by pulling off bits she’d stuck outside the shape. She did a great job! 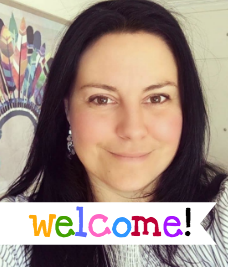 Colours – This activity provided a fabulous opportunity to talk with Possum about colours. She is starting to make some connections between particular colours and apparently her favourite colour is ‘purple’. 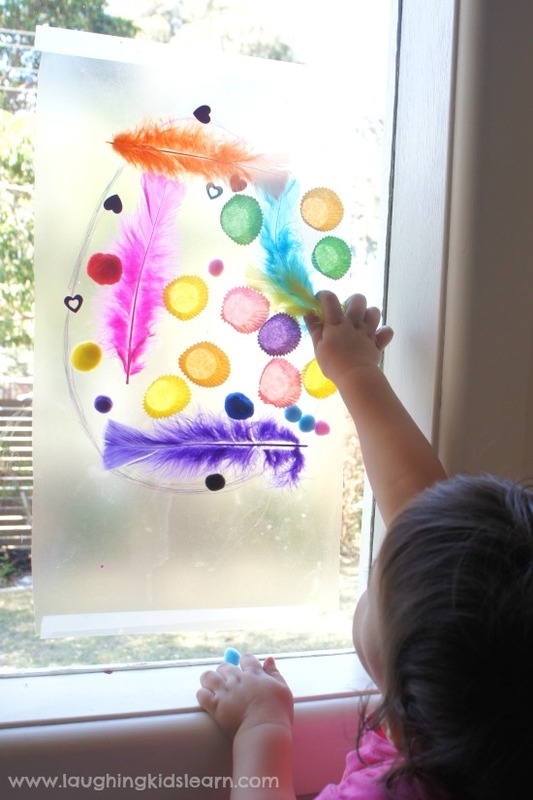 Fine Motor Skills – Possum was really working those fine motor skills when pulling off the stickers from the paper and picking up the soft feathers. 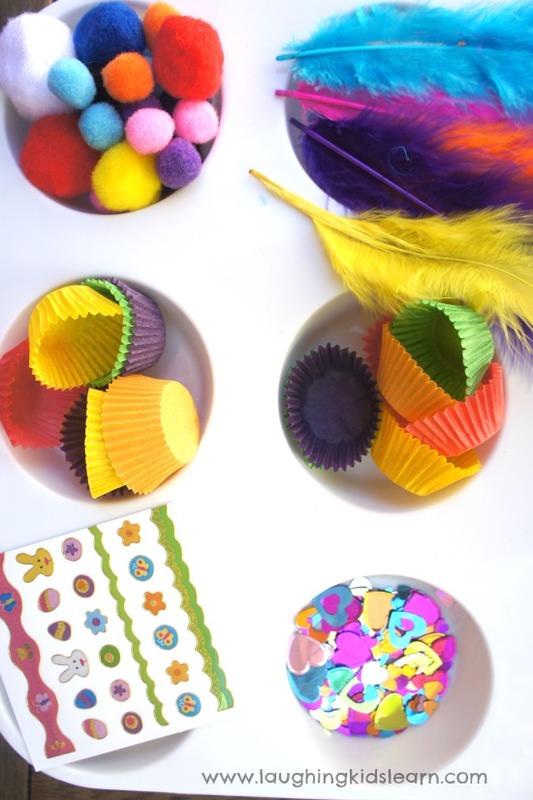 Sensory exploration – Incorporating bits and pieces like feathers and cupcake liners adds to sensory experience. Of course the sticky surface make children very sensory aware. 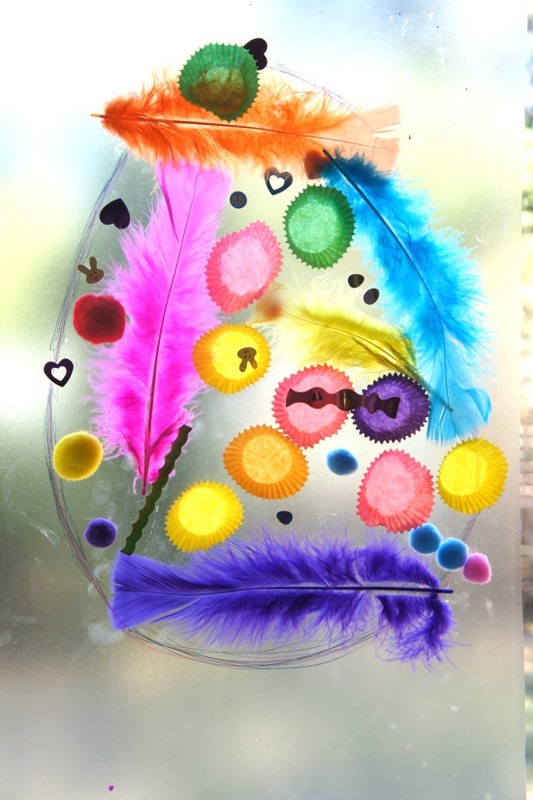 Once she was finished I cut out the egg shape and used some more of the sticky tape to hang it on the window. It looks beautiful doesn’t it? I should say that I prepared the activity whilst Possum had been down for her day sleep. Often if children see you set something up like this they can attempt to tear it down and get into it before you’re ready. I find setting it up out of sight avoid this common problem. 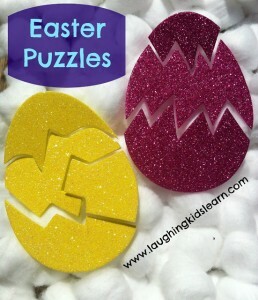 What tips do you have when it comes to crafting with your kids?